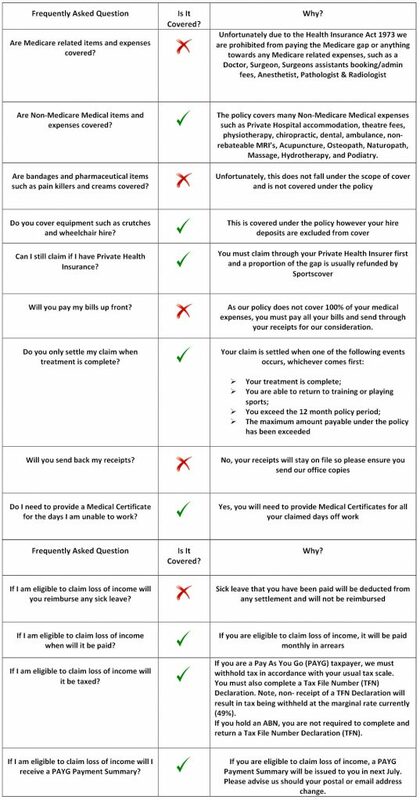 The following are frequently asked questions in relation to making a claim with Sportscover in Australia. Please contact our Claims Department if you have questions that are not addressed on this page. We will provide you with an update every sixty (60) business days.